William Blake’s father was a hosier. Two of his six siblings died very young. He was known for having visions. At the age of four, he said he saw God putting his head to his window. When he was nine, he said he saw a tree filled with angels. When Blake was thirty, he witnessed his brother’s death and claimed his spirit rose through the ceiling “clapping its hands for joy." This dreaming, hallucinogenic imagination is apparent throughout his paintings, which are very mystical in nature. He only attended school until he was ten. He learned to read and write there, but his parents recognized he was a unique spirit and educated him at home from then on. He expressed a desire to become a painter. His parents could not afford to send him to art school but apprenticed him to an engraver instead. Blake began engraving drawings of classical Greek works. He was exposed to antique forms through the work of Raphael, Michelangelo and other masters. He read freely and started writing poetry based on the works of Ben Johnson, Edmund Spenser and John Milton. Blake was refused the first time he proposed marriage to a woman. In 1782, he was retelling the story to Catherine Boucher and her parents. He asked her, “Do you pity me?" She said that she did and he replied, “Then I love you." He married her that year. She was illiterate. He taught her to read and write. He also taught her engraving and painting. She was an important aid with all of his illuminated works and a powerful support throughout his life. The couple never had children. Some historians say Blake desired to bring another wife into the home in hopes of having a child. He was critical of marriage laws of his time. He believed the state had no right to restrict prostitution, adultery, homosexuality, birth control or other non-standard sexual expressions. 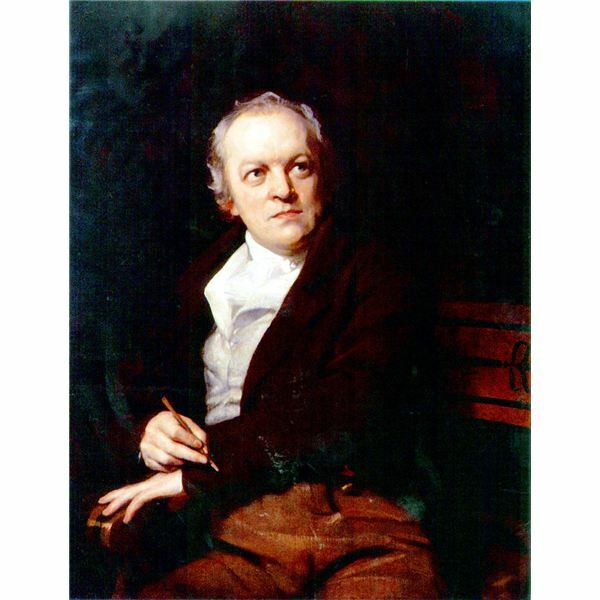 Along with May Wollstonecraft and her husband William Godwin, Blake is one of the precursors to the “free love" movement of nineteenth century England. He illustrated her book Original Stories from Real Life. In 1800, he moved to the coastal town of Felpham. For three years, he taught himself Latin, Hebrew, Greek and Italian. He read classical works in these languages. He spent much time in personal introspection and emerged from this period to create some of his most original works. Visionary epics such as Milton and Jerusalem lacked plot, characters, rhyme and meter in a traditional sense. Blake was aiming to describe the human spirit as something triumphant over reason. They did not receive popular acclaim. Many reviewers thought he was crazy. Blake approached art dealer Robert Cromek in 1804 with the idea of engraving the characters from Chaucer’s Canterbury Tales. Cromek believed Blake was too eccentric to produce work that the public would embrace, but he liked the concept. He commissioned Blake’s friend Thomas Stothard to produce the product instead. When Blake realized he’d been swindled, he set up his own showing of the Canterbury characters at his brother’s clothing shop. The show was not well attended and he sold none of his prints. He continued to show his art wherever possible. Reactions to his art ranged from “brilliant" to “insane." Eventually his illustrations of Bible stories, particularly those of Job, began to sell. His first published work was Poetical Sketches, a collection of poems and prose printed in 1783. Primarily he followed classical forms. Forty copies were printed and distributed to friends. It was never printed for the public. 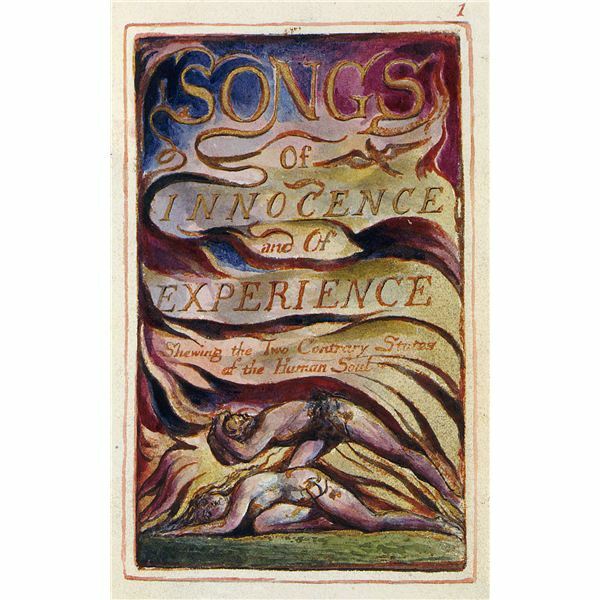 His most popular work is Songs of Innocence, which he illustrated together with his wife and published in 1789. They followed it with Songs of Experience in 1794. The detailed engravings were finished with watercolor paint. His epic Milton was written from 1804-10. 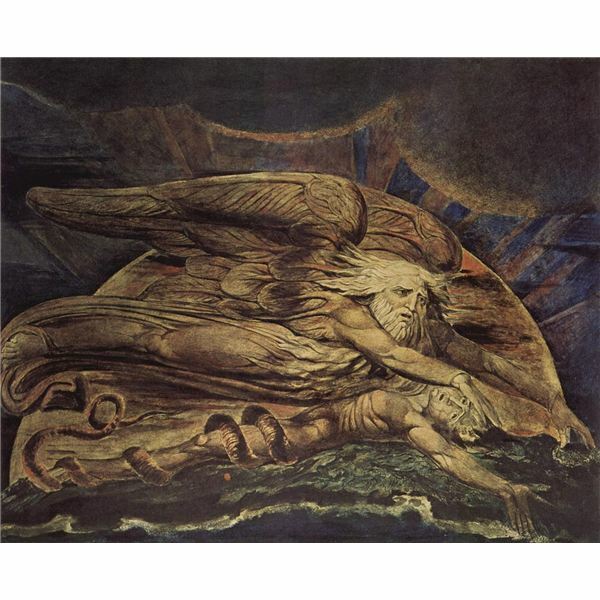 It tells the story of seventeenth century poet John Milton returning from heaven to unite with Blake. They explore spirituality together, analyzing in particular Calvinistic beliefs that all people are either Elect, Reprobate or Redeemed. Blake reverses Calvinistic logic, claiming that the Reprobate are the true believers and the Elect are overly moral narcissists. Milton agrees with him and decides to return to Earth and correct his Puritanical errors. Milton is done in Blake’s trademark illuminated style. The portrait is unfortunately lost.